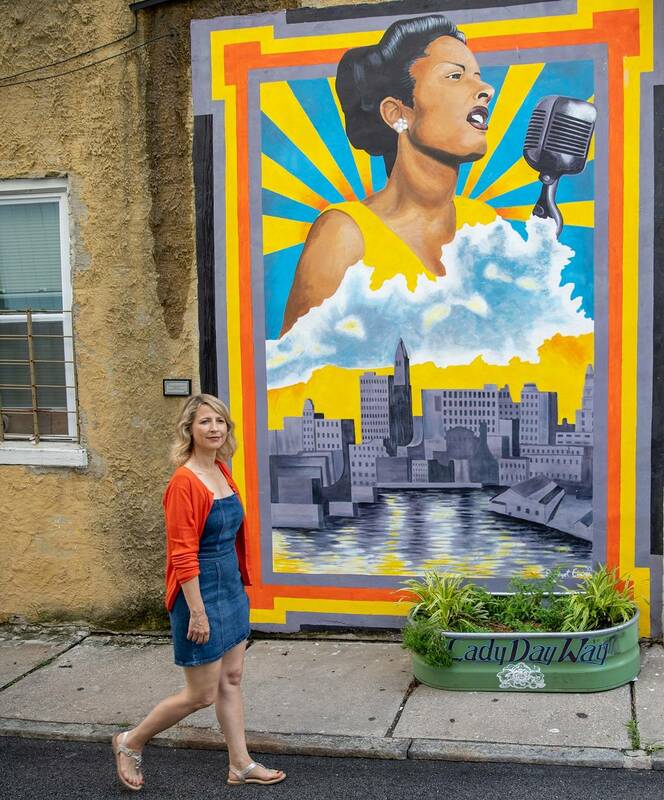 World traveler Samantha Brown from the eponymous show ‘Samantha Brown’s Places to Love’ recently covered Baltimore for an upcoming episode. I streamed this episode, for free, on MPT.org and I instantly became a fan. Brown was a Travel Channel veteran known for hosting "Great Hotels," "Green Getaways" and the "Passport" series about Europe, Latin America, and a slew of other exotic places. After 15 years, she wanted to embark on a new journey with her own show. She was able to raise funds to create the show-despte people saying that this cannot be done- that this would never work. A woman traveling the world, confidently, and with a bright-eyed smile seemed unworkable. However, her grit and steely dtermination to raise money, hire her own crew and to stark trekking the world paved a path for more women to travel with confidence. In her first season, Brown went above and beyond the role of a mere host. She's also the writer, editor and fundraisor. The philosophy behind "Samantha Brown's Places to Love" is to connect the travel experience with the person sitting on the couch. Each 30-minute episode montage of interviews, eclectic footage of hidden gems, and lessons learned expands viewer's minds and dispels any misconceptions. Her new series is now marking its 2nd year, with trips to Seol Korea; Santa Fe, New Mexico; Montreal, Canada and our own Charm city! “Baltimore doesn’t get credit for being the historical city it is” states Brown in the beginning of the episode. As a three- year Baltimore resident, I have heard harsh stereotypes, hearsay and myths about what Baltimore is from outsiders. It’s refreshing to know that Samantha can cut through these misconceptions and get to the truth. Fells Point, for example, is not just a hip spot to grab beer. This was once the ‘Ellis Island’ of Baltimore. The area is now home to the Kevin Plank's Under Armour sport apparel company and the famous Sagamore Pendry. This area was once known for a nationally famous show: Here's a hint: Not "The Wire." Did you know that 600 ships were built in Fells point? Did you also know that Baltimore is celebrating 200 years of Frederick Douglas? Brown dug deep with her interviews to unearth Douglas’s love of Baltimore and also found an important reason why he owed Baltimore a debt of gratitude. Along with Brown going to her first farmer’s market under an overpass of a highway, and learning more about locally-sourced sould food, she discovers a nationally celebrated festival where working class women from the 1950’s and 1960s get praised. Let’s just say that wearing a beehive hairpiece is but one of many ways to celebrate this festival. Viewers should watch "Samantha Brown’s Places to Love" episode #210, Baltimore Maryland on www.mpt.org. Learn from her why Baltimore has a do-it-yourself’ spirit and how this city is a "supreme cauldron for creativity."